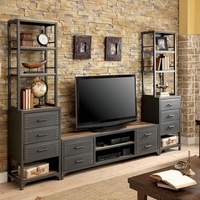 Furniture of America has been in the industry for over two decades. True to their motto "more value for less, always," they have consistently delivered high quality furniture without the high price. 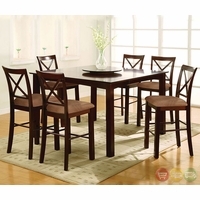 Their huge catalog includes casual and formal dining sets, bedroom sets, youth bedroom sets, living room sets, TV stands, home office furniture, accent chairs and other decorative accent pieces. 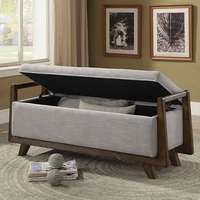 Furniture of America simply has what you need to make a presentable, cozy, and comfortable home. 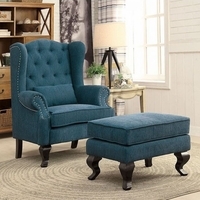 Here at ShopFactoryDirect, we're more than pleased to offer you an extensive selection of premium quality furniture pieces from Furniture of America. 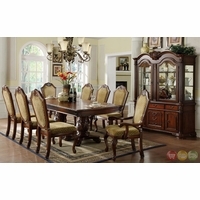 Shop today and save big on dark cherry formal dining sets, white futon sofa sets, leather sectional sofas, fairy tail youth sleigh beds, contemporary gun metal boys bed sets, twin bunk beds, Baroque-style poster canopy beds, oak TV consoles and a lot more. You'll also be impressed by their collection of home accent pieces that includes white corner ladders, vanity tables, antique oak nesting tables, wine cabinets, and a variety of accent tables in different sizes, shapes, and finishes. Enjoy factory direct pricing and free shipping on any purchase.